It’s time to do the holidays, medieval and early-modern style! 6 December: Saint Nicholas’ Day. The election of the “boy bishop.” Choristers (boys* in the choir) would elect one of their number to be the boy bishop, a kid who would run all official religious ceremonies till Holy Innocents Day (28 December). 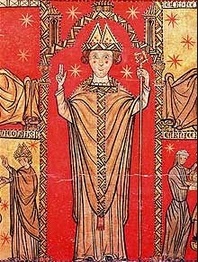 The Boy Bishop appointed his friends to serve as high officials in the church (the dean, the canons). For all intents and purposes, he and his friends were in charge. Adults would take on all the kids’ roles (acolytes, altar boys), and would sometimes heckle the kids who were trying to conduct services properly. It was basically three weeks of fun, treats, holidays, and general misrule, and it often got pretty rowdy. 16 December: The Bringing in of the Boar’s Head. This tradition is mostly confined to great houses and universities, where the head of a boar is brought in to a dining table beautifully decorated with herbs and fruit while the Boar’s Head Carol is sung. Its origin story goes like this: an Oxford university student was walking through the forest when he was attacked by a boar. He fought it off by cramming his copy of Aristotle in the boar’s mouth, choking it to death. 20 December: Saint Thomas’ Eve. 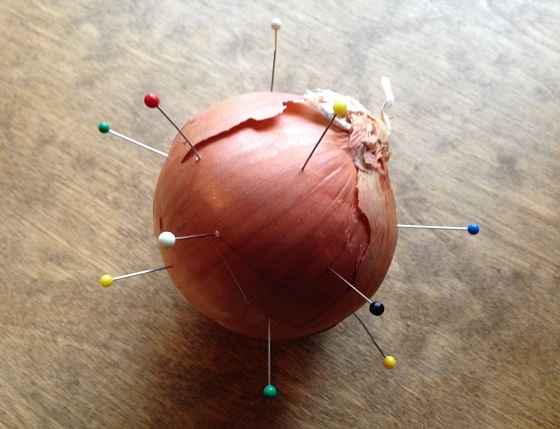 If you stuck an onion full of pins and put it under your pillow, you’d dream of your future husband. 21 December: Saint Thomas’ Day. Poor people in a village, usually women and children, would go a-Thomasing. This was a bit like trick-or-treating from house to house, but they’d be offered a fixed amount of a specific thing (a candle, a cupful of flour). The idea was that they would collect provisions to help them live through winter. This tradition was also called gooding. 28 December: Holy Innocents Day. This holiday commemorates the Biblical story of King Herod having all male babies in his lands slaughtered as he tried to kill off the infant Christ. On this day, adults would fast and do nothing (especially not housework), but kids could do pretty much whatever they wanted. They had treats and went to parties and could play in church, but they were also beaten to remind them of Herod’s cruelty. Being a kid in medieval and early-modern times could be confusing. * Yes, just boys. Sorry. They hadn’t gotten the memo yet. From A.R. Wright’s British Calendar Customs (Folklore Society: London, 1940).